Hannah kindly let me reproduce her beautiful illustration here for Moral Fibres readers, but it’s available for sale in her Etsy shop* for just £9.80. It would make a really sweet gift for the keen gardener or aspiring apiarist don’t you think? Hannah also has lots of other great prints in her shop, including a lovely print on how to help the Monarch butterflies – well worth a look! If you’ve never shopped on Etsy before, Etsy are currently (and rather generously!) giving you £5 towards your first Etsy purchase via this link (no minimum spend required)! Ps: As well as the post on attracting bees to your garden I’ve got a couple of other posts on bees you might like: how to revive tired bees and how to help bees if you don’t have a garden. PPS: In other bee related news yesterday Friends of the Earth launched The Great British Bee Count. Every time you see a bee between now and the end of August simply record it on their free iPhone or android app or website. The aim is to get a nationwide picture of bees’ health. There is currently no UK wide information available on the health of our bees – so it’s really useful to get involved. * denotes an affiliate link. Please see my disclosure policy for further details. 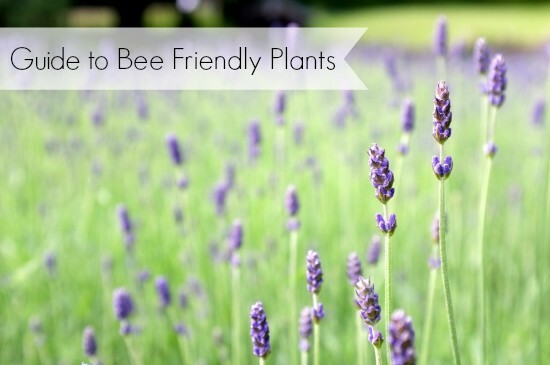 We’re big fans of bees at Moral Fibres – see how you can plant a bee friendly garden or, if you don’t have a garden, how you can help the bees in other ways. 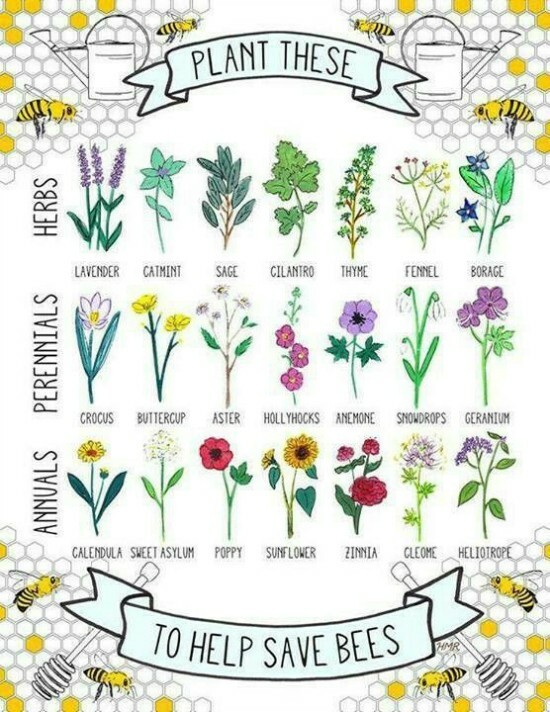 However, it’s all well and good when the bees are buzzing around, doing their thing, but have you ever seen a tired, struggling or apparently dying or dead bee in your home or garden? When I’ve seen bees like this I’ve always assumed that they were dying or dead (ever the optimist! 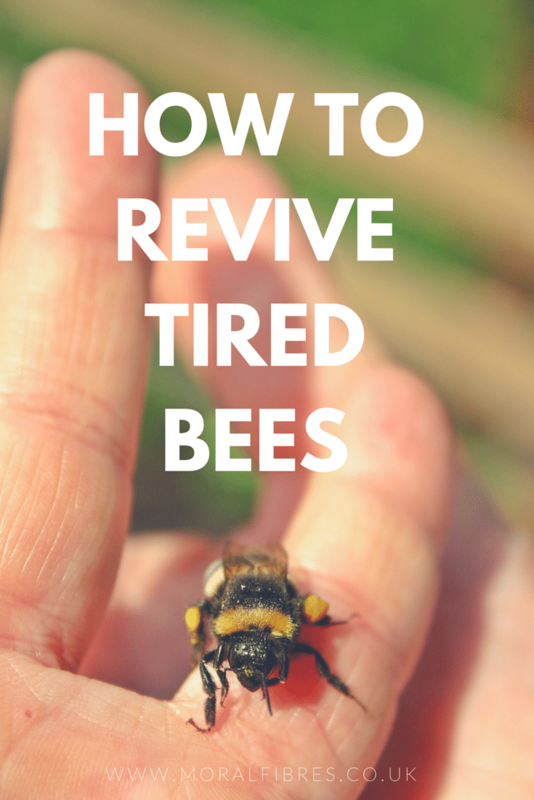 ), but the other day my other half told me they’re not dying, just tired, and that you can actually revive these bees quickly and easily using only sugar and water. 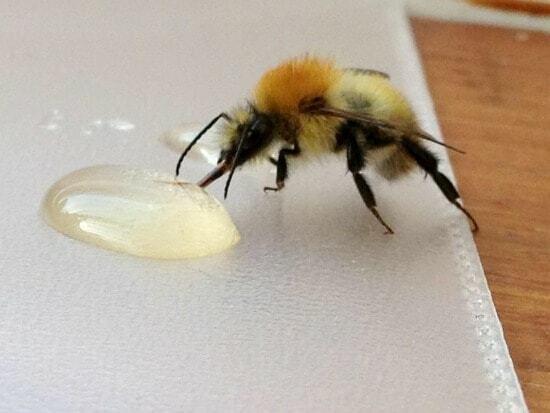 It’s true, a simple solution of sugar and water helps revive exhausted bees. To create this energy drink for bees to revive tired bees, The RSPB suggests mixing two tablespoons of white, granulated sugar with one tablespoon of water, and placing the mix on a plate or spoon. Do not add any more water otherwise the bee could drown. Place the bee on the plate or spoon, where it will have a little drink, hopefully helping it to gather the energy to fly back to its hive. 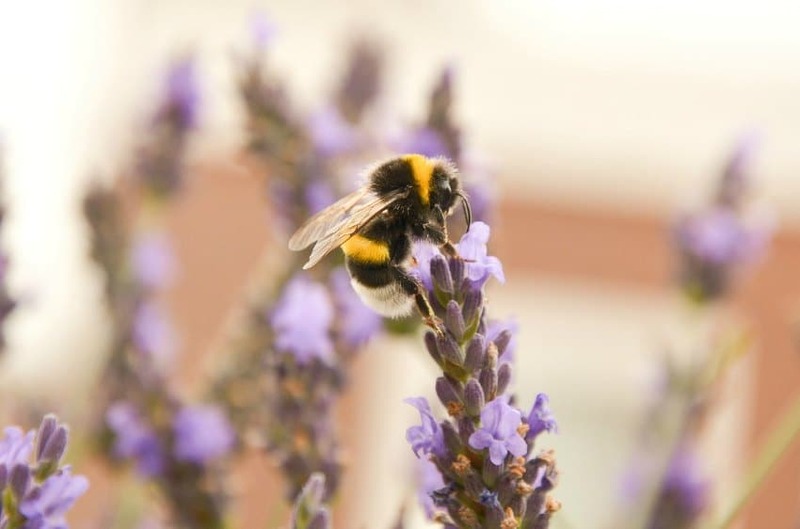 You can also add the same quantity of water and sugar to a small container, such as an egg cup, and leave it amongst a patch of flowers in your garden or window box so that bees can have a drink on the go before they get to the exhaustion stage. Don’t be tempted to offer tired bees honey – in most cases, the honey isn’t suitable as a lot of honey is imported and may not always be right for native British bees. And only ever offer white granulated sugar – never offer demerara, or any artificial or diet sweeteners. Thankfully I haven’t seen any tired bees since learning this useful tip to try it out, however knowing some very basic “thirst aid” (!) for bees can go a long way in helping out the bees rebuild their population sizes.